Perhaps, we all know that WordPress is an absolutely free and open source CMS (Content Management System) and there are tons of free templates and plugins available out there on the market. With these, you can easily build a website from scratch with little coding knowledge! Unfortunately, there are still some implicit costs when you are going to launch your desired WordPress site. That said, determining the minimum cost of creating a WordPress powered website can be really tricky. Because it entirely depends on your choice and needs. However, we would like to help you walk through the tricks of estimating both a typical and an advanced WordPress site. Having many years of experience in WordPress, we always recommend you to start small and then scale your WordPress site as it expands over time. There are some premium plugins that your website does not require at all in the preliminary stage. 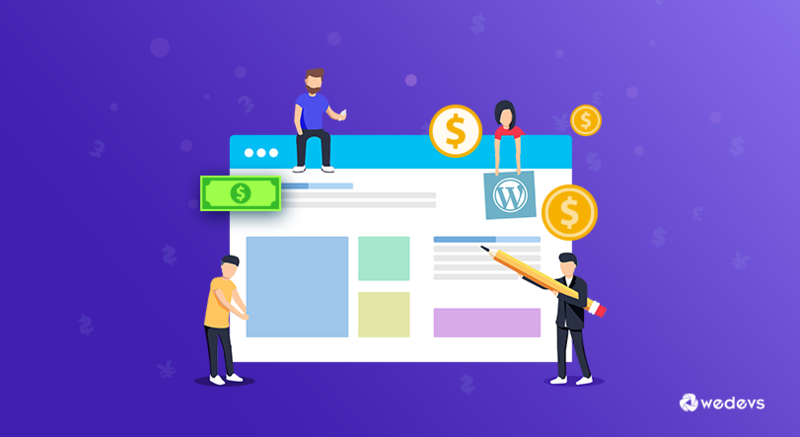 Now, without further ado, let's see how to create a website on a customized budget with WordPress just as your diverse needs so that you can get to know how much does it really cost to build a site. Note: Typical Pricing sections are recommended for the beginners who love to cut costs while the Advanced Pricing sections are optional. If you wish to keep your budget tight then you can skip reading the Advanced Pricing sections. Whenever you are going to build a WordPress website, the first and foremost thing that you need to consider is a Domain name. It is the URL or the address of your website that your visitors will type in for logging on your website. You will be surprised at the variations of the pricing plans of Domain Names. Usually, Domain names ending with .com extension are pretty inexpensive and they are the most used ones. According to a research, A typical Domain Name generally varies roughly from $10 to $15 a year. To be an economical and yet professional buyer, we recommend you to buy your preferred domain name from namecheap. This website has by far the most reasonable and affordable pricing plan. 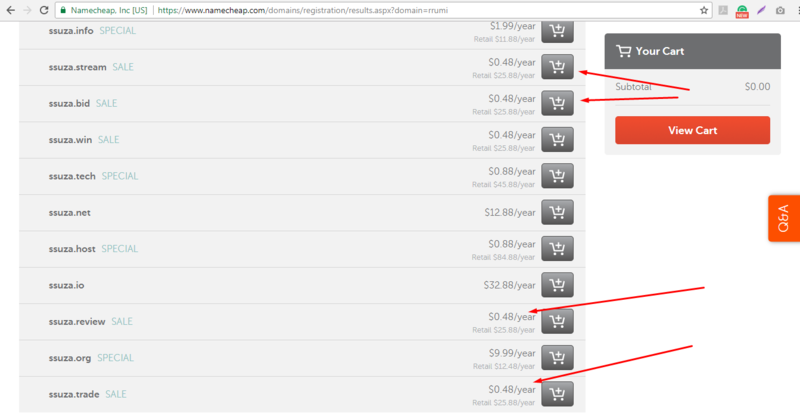 Getting a Domain Name at $8.88 from Namecheap would be a wise decision in order to be economical. Surprisingly, If you only focus on the first year, you will even get a domain name less than a dollar. For example, Namecheap will give you a domain name at $.48 for the first year with either of the .stream/.bid/.review/.trade extension. This plan would be cost-effective for the first year but from the second year, you have to pay pretty much like a regular pricing plan. Another website is Godaddy that will provide you a domain name in exchange for $0.99 with the .club extension for the first year. But, they will charge a little more from the subsequent years. An advanced Domain Name is essential for those of you who are looking for Social Media Marketing, SEO and above all Branding of products. Meaning that you will have social media accounts’ names available in accordance with the name of your Domain Name. For this purpose concerned, It would be wise to buy Domain Name from knowEm. It will cost $158 for the standard plan. Remember, choosing a unique and SEO friendly domain name can act as a cornerstone of a successful website. It goes without saying that buying a used Domain Name will cut costs significantly. But, a used Domain Name could be a nightmare for you unless you conduct a little research right before the purchase. Although a Domain Name is impossible to edit it is a piece of cake to delete the previous contents and add new contents to a certain site. Say, a particular Domain Name had some contents that were blacklisted earlier by Google but later the scam contents were excluded. Don’t ever buy this sorts of Domain Names! Wondering how to check the history of the Domain Name? Very easy! Check the history of a Domain Name by some free services like Archive.org, waybackmachine and so on. 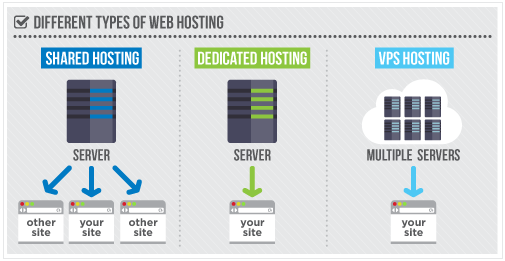 Web Hosting is like a Home for your website. Once you buy a Domain Name, you need a Web Hosting service in order to publish your WordPress website. Web Hosting price varies significantly depending on the type of market you buy from. In addition to that, the price of web hosting continues to rise higher when it comes to WordPress website. Don’t worry! Just see the below pricing plans. If you have a newly launched website or you are about to launch a website then you might as well buy low priced web hosting services. Because the newly launched websites tend to have a less traffic flow than the well-established ones. The less is the flow of traffic or visitors, the less is the pressure on the server. This is why you don’t need any pricey Hosting services. On average, you will have to pay $28 per year to avail the opportunity of using a web hosting service. In this case, we would love to suggest you buy the web hosting services from Namecheap once again owing to a low-cost pricing plan. In most of the cases, Namecheap will charge you roughly around $8.88 each year while the renewal cost is $48.88 per year for web hosting purposes. A bang for the buck indeed! However, once your Amazon like eCommerce website or blog starts to bring a good number of visitors to your site then you should change your hosting plan to premium plans. A good number of visitors will slow down your website's speed by putting pressure on the server. To tackle this hassle, you will have to go for some premium plans like Namecheap professional hosting plan that will cost $19.88 per year. The renewal price is $78.88 per year which is quite impressive when compared to other company’s premium price. If budget is not an issue then you can opt for a WordPress oriented web hosting service like DreamHost, WP Engine, or Pagely. They will provide you additional services for backups, security, and speed enhancement. Pricing with these companies ranges from $19 to $47 and goes as much as up to $400. Whether you are a beginner or experienced you have to have a crystal clear idea about WordPress.com and WordPress.org. Despite sounding similar, they are actually quite different in terms of services they provide. If you want to avoid the cost of Domain Name and Hosting services then you can adopt WordPress.com. But wait, there is a catch under the hood! You can not get even a single plugin or template free of cost from WordPress.com. Consequently, WordPress.com will cause a price hike in the long run when you buy the essential plugins. On the other hand, although, WordPress.org doesn’t provide free hosting services, it will give you thousands of amenities later on. 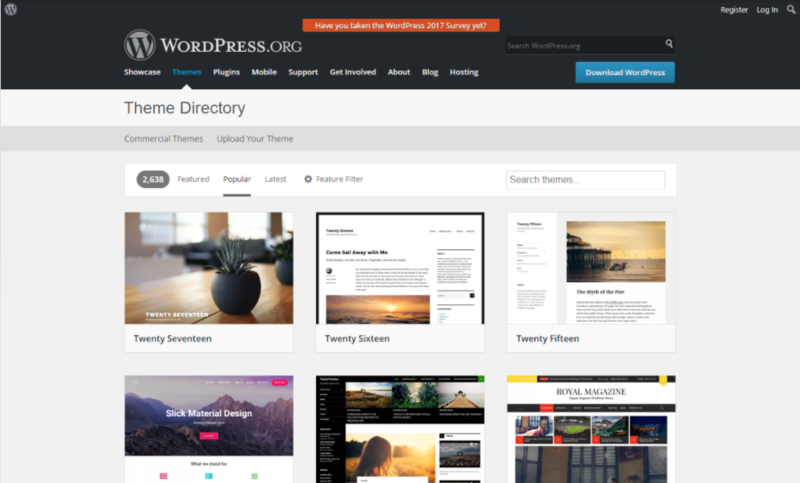 Between the two platforms, you can use WordPress.org due to the availability of free pieces of software which will be required to run your site efficiently afterward. Whether you are setting up an eCommerce site or a blog site, themes are the part and parcel by all means. There are tons of free themes available out there in the market. All you need is choosing a Theme that is suitable for your site. For example: If your website is based on eCommerce then go for the WooCommerce themes. If you expect a quality theme yet with a value for money then you will have to spend around $15. There are plenty of free themes out there on the market. But if you go for free themes, you need to consider some issues like compatibility with plugins and mobile device responsiveness. When the budget is not a barrier and you want a theme look exactly like the way you wish then hire professionals. But you might have to pay the professionals more than $100 according to their demand. 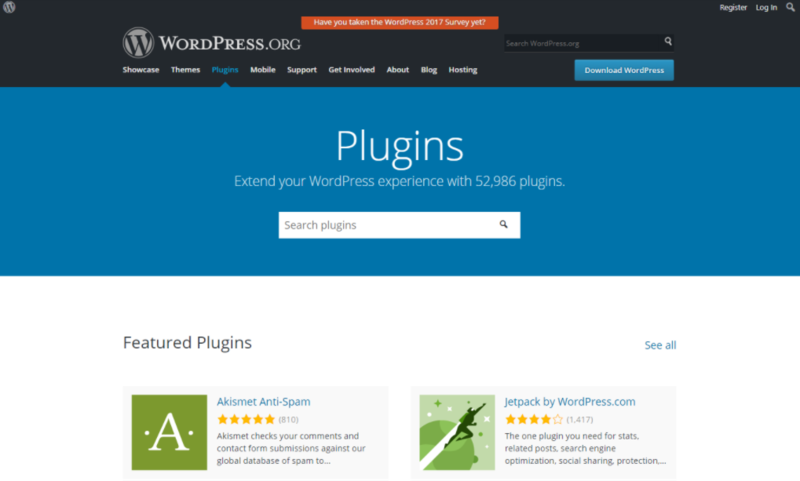 After you have completed the aforementioned steps, now you will be adding some plugins to your site. You may add features like adding a contact form, carousel/slider, Image Gallery, SEO Tools, security tools etc. We will recommend using the free yet feature-rich plugin first to keep the initial costs lower. For example, you can try weForms to build a form as the free version has all the basic and almost all the premium features that you need. Honestly, you don’t need the majority of the paid plugins at the initial stage. For advanced usage, you may need to pay an average $100 per year for the premium plugins. You can spend this huge amount of money only when your site begins paying off. Add SSL(Secure Sockets Layer) certificate to your website after you have managed to get some traffic to your websites. The truth is some visitors are really fastidious and so tend to avoid the insecure sites. So if you would like to make your website well established then you must consider an SSL certificate. There are so many pricing plans while you are going to purchase an SSL certificate. But buying the multiple year plans will worth the money you spent as it will help you minimize costs. The cost of an SSL certificate may vary from $9 to $29.88 depending on the pricing plan. Note: Security plugins will not cost arms and legs. In fact, a full-fledged website without any premium security plugin might be an appealing target for the hackers. Note: The two mandatory things to build a WordPress website is a Domain Name and Web Hosting. Although, SSL certificate is optional, yet we have enlisted it as a mandatory component here for avoiding some security issues. If you exclude SSL certificate from the list then it will require only $9.36 to launch your dream website! As we said, the cost of building a WordPress powered website completely counts upon the way you want. In many cases, especially if you are a beginner, you don’t need all the premium features at all. Harnessing the free and low priced stuff can seriously save a lot of money. Finally, we would like to give you a good news! Some of these pieces of stuff are sold at a discounted price on various occasions! Keep a keen eye on those special price offers and grab those chances! Here is a bunch of amazing WordPress offers of 2017. What’s your pricing plan? Feel free to comment below on your plan or opinion. Great post, I guess we all have to move to https now thankg to google. I also believe that if you are only going to test a website then you can avoid https or SSL. But, if you are going to store valuable contents on your website or if you are going to manage a website where you will have to tackle a lot of transactions then you should go for https or SSL. How are you, Thank you for sharing your thinking. You are directly on point and you conveyed your thoughts very well. I tweeted the post and also placed a link in my personal FB page. Keep doing what you’re doing! Enjoy!